PLEDGE NOW!! Phone 1-800-989-9368 while DO or DIY is ON AIR To ensure you are pledging for OUR SHOW point your mouse to the image and pledge link at the top of this page! DO or DIY's MARATHON PREMIUM CD! 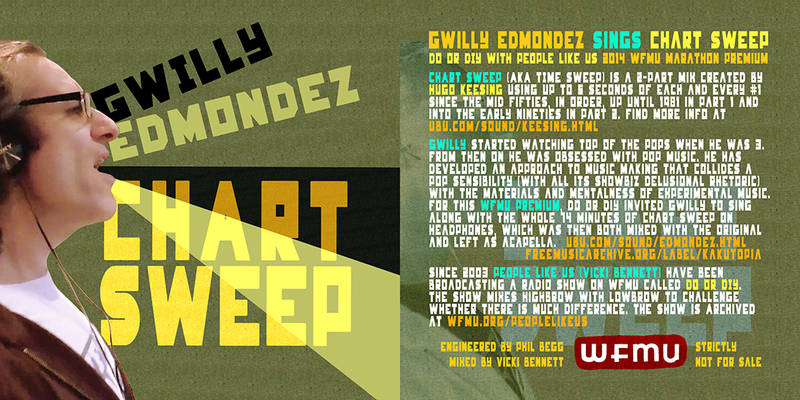 Gwilly Edmondez sings CHART SWEEP! Pledge $75 to get this CD Listeners of the show will be very familiar with Chart Sweep, and that we had Gwilly Edmondez sing Chart Sweep for the show recently. It went down so well that listeners requested this be our 2014 Marathon Premium. And so be it! Gwilly went back into the studio and recorded the whole thing for us. 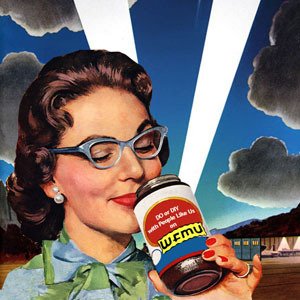 We also have a 24/7 stream on the WFMU frontpage! 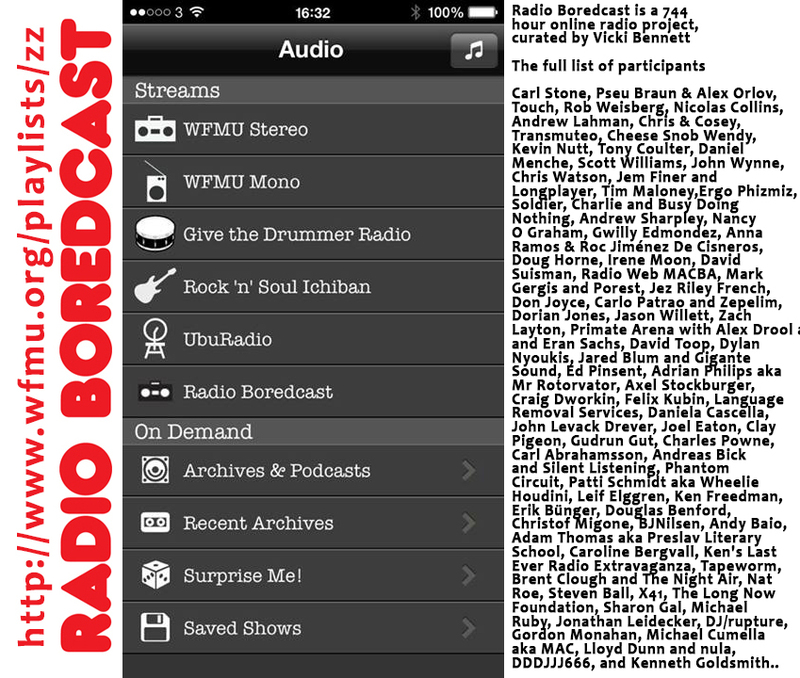 RADIO BOREDCAST! 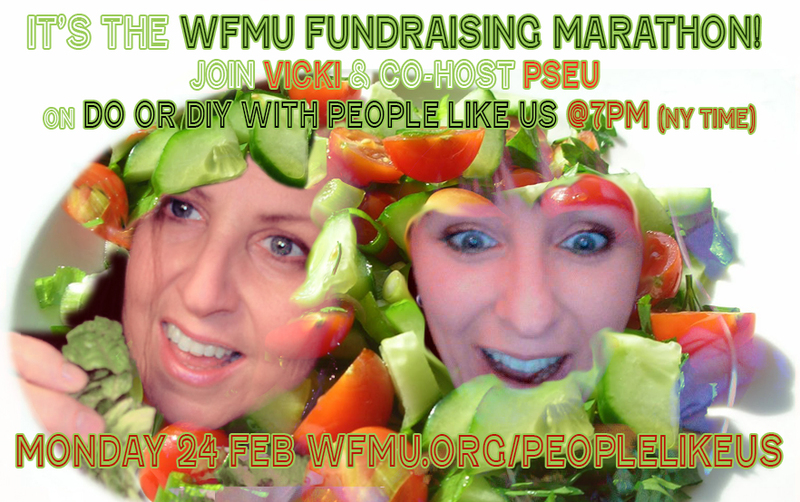 744 hours of all things SLOOOOW Pledge for DO or DIY and help keep WFMU on the air. If you are reading this we count on your support. Pledge now! 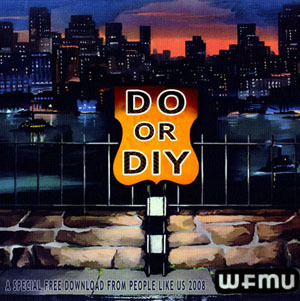 Dial 1-800-989-9368 or at wfmu.org SUPPORT DO OR DIY ON WFMU! We will be on the air from 7pm to 8pm on Monday 24th February - a live show - please join us! That's NY Time. Our show starts midnight Monday evening if you're in the UK for instance. is the Boredcast stream in the order it was broadcast? I heard it on Basic.fm like but it'd be interesting to know if it's now in the same order every month. I keep forgetting that this show is on. Getting closer. Remembered in the nick of time! Ever have dreams you suddenly realize you're supposed to do a show and you're not ready? And the A Go-Go From River Kwai is back! gwilly! most excellent - so many hard premium choices this year! That Haden ditty is from Psycho. Hey, this is "Psycho" not "Fistful of Dollars"! I **LOVED** "A Gringo Like Me" last week. Never heard it before. You’re on the air? I thought you were on the ground. Who knew! I'm a first time pledger to WFMU, but a longtime fan. Happy to help as I'm able. You are in the ethernet. Can you believe I have a second to make a comment? threw some A.D.D. love your way miss vicki. my overflowing toilet be damned. I spent a semester for grad. school in London back in the late '80's - London is way cool! I see that I (as RIAA) was mentioned as one of the guests on this show as a way to encourage peeps to pledge. So it's kinda weird, like: I pledged to support...me. Seems a bit self-serving, eh? Oh, and I like Pseu's comment "funk in a pug's eye." Would make a good album title or sumthin. Yay! I passed my portfolio review today. Now I'm fixing dinner and listening to Do or Diy. Life's not necessarily bad. No TV license?! Won't the BBC send over some Daleks to exterminate and/or relax you to death? Come on people, pledge! This phone room is way too quiet. Damn need to go to sleep, but warm regards from Amsterdam. best hour on radio for the chronically distracted! wait - is this like two in the morning for vicki? c'mon man - give it up!! Love all you do - good night! We're here, we're weird, get used to it! DIY!